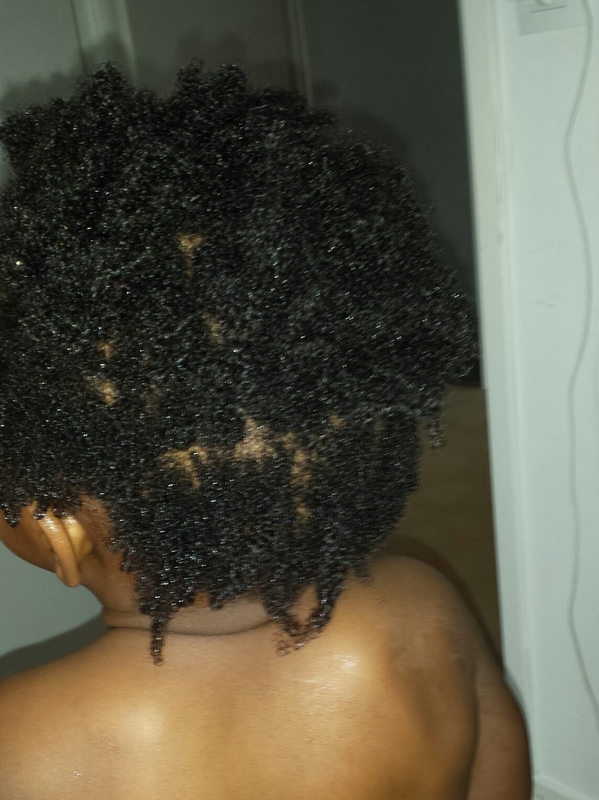 Hairspiration: Meet Nkiru! Emem again! Hello everyone! I just wanted to share a pic of one of the staff at my Sizzelle Online Store. Her hair is about the same length as mine and she is extremely passionate about taking care of her hair. Infact, she’s way more fussy than I am! LOL! She started working for me last year when I just started The Sizzling Mommy Store and I taught her about prepooing, deep conditioning and as much as I could about healthy hair care. This is a pic of her hair taken yesterday. 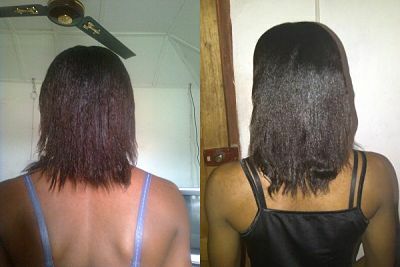 She is truly a relaxed hair inspiration that anyone can grow healthy hair! In addition, I have a pic of a dear reader of this blog, Emem. Her hair growth simply amazes me and she doesn’t JOKE about her hair at all. She just told me recently that as soon as she gets home, she throws on a shower cap to retain moisture! Not everyone has the same hair texture and thickness but when you take care of your hair the right way, there’s bound to be some improvement! Do take care lovelies! 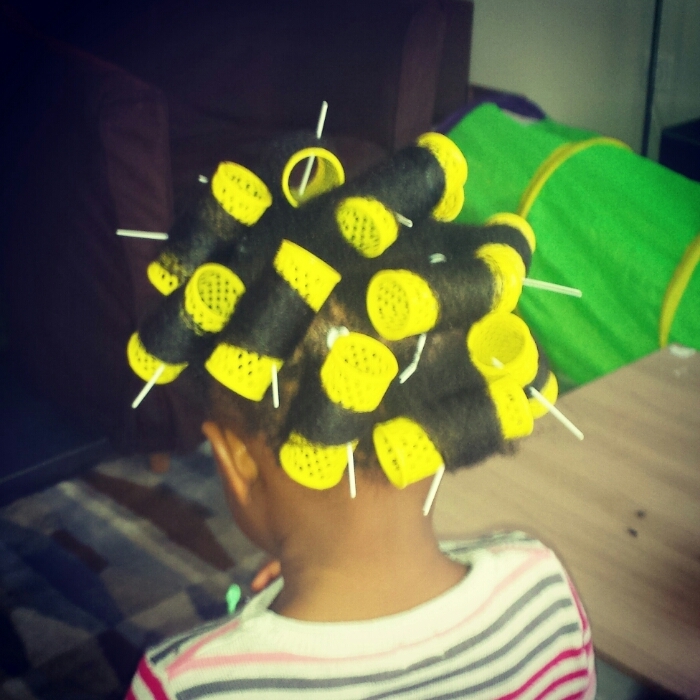 I roller set my daughter’s hair!!!! Feature Friday: Meet Emem! Remember Ifai? 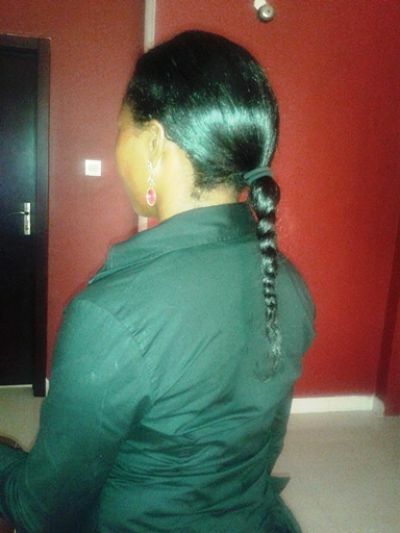 9 Comments to Hairspiration: Meet Nkiru! Emem again! Well, what do you know! *blushing. Nice growth. Her hair is so shiny. 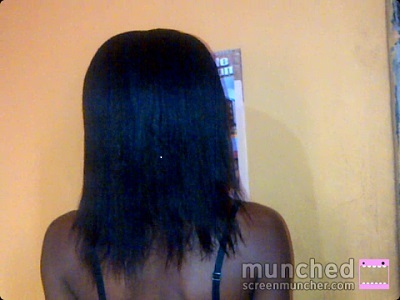 My hair is always cutting, no matter any treatment i applied, it will still cut. what do i do? pls i need ur help. 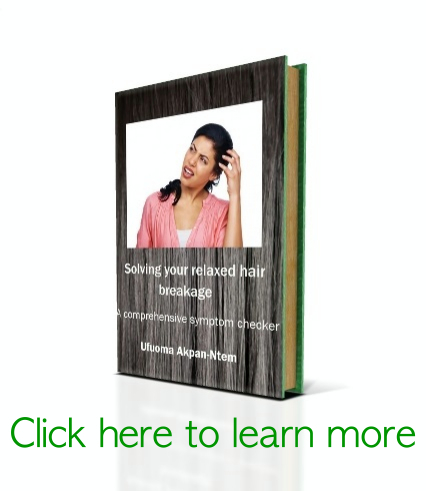 I’ll send you a free copy of my e-book in hair breakage. Sorry about this dear! I just stumbled on your blog for the first time, and we do share the same passion, however, I have issues with my hair, it gets shorter by the day. Right now, I decided to let it “breathe” by wearing on a wig. Please hellllllllpppppppppppppp!!! Sorry for my delayed response Nnenna. The main reason why your hair keeps getting shorter is because it’s breaking. There are so many causes of hair breakage. I’ll direct you to my posts on hair breakage and we can talk better after you’ve read them. Hugs!